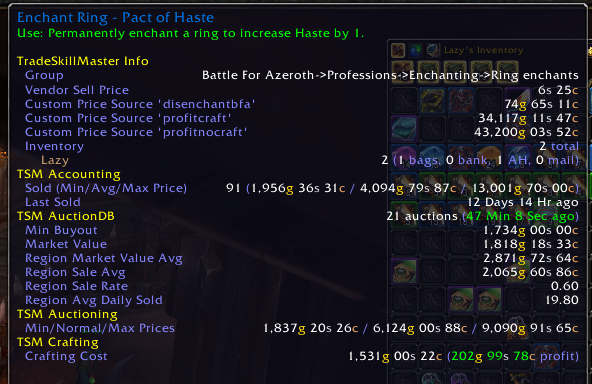 With the new tool of the trade increasing the yields from disenchanting items it is time to reassess the BfA enchanting shuffle. The increase in material yields is in the form of Veiled crystals which will significantly increase the value of disenchanting gear while significantly decreasing the value of veiled crystals. Before we can look at the yields we have to take a look at how you obtain the new tool of the trade. 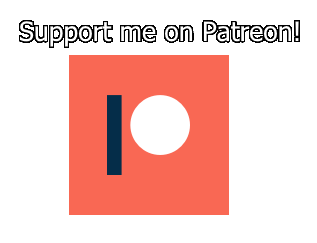 As with all the other tools you need to complete a questline to get the recipe and then you need to obtain the required materials. Wowhead has a full guide on the questline and the required items to craft the tool here. 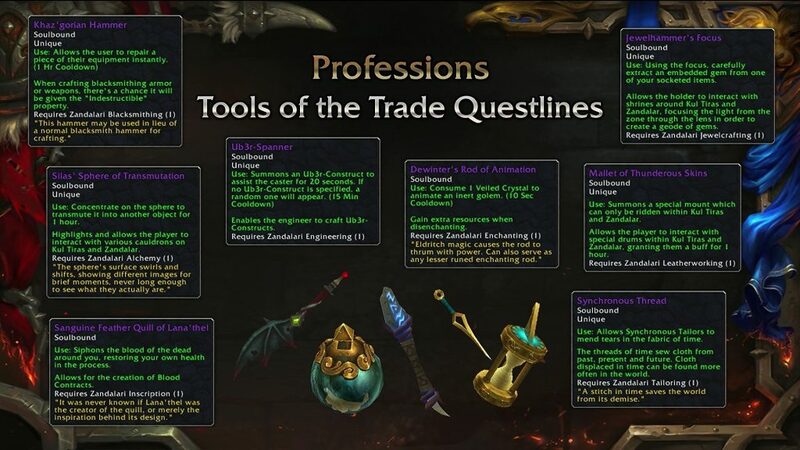 The questline starts at your profession trainer in Boralus or Dazar’alor. After you get the recipe you need to farm the required materials. There are three BoP materials you need. The Lingering Drust Essence drops from mobs in Waycrest Manor, the Runestone of Thros drops from Gorak Tul In waycrest Manor and the Grasping Wicker Arm drops from theGnarled Hulk in Drustvar. Then you need 10 expulsom, 15 veiled crystals and 25 Umbra shards. To assess the value of the new shuffle we need to understand how the rates have changed. Based on my testing and the notes of other players it seems that only rare items have a chance of yielding veiled crystals. The umbra shard and gloom dust yields have not changed significantly which means that only the value of the veiled crystals will change the value of a single disenchant. We will use TSM as we did in my last post to add a simple price source to the tooltip to easily display the disenchant value of a crafted item. Since we know now all the yields it’s a simple operation to add the value of veiled crystals. This source is meant to figure out the expected value when deciding to craft bracers. 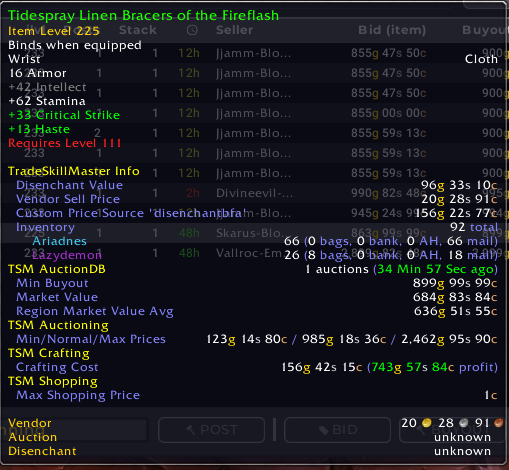 If you just want the disenchant value for a rare bracer then the second price source will be the one you want. With the current situation of rares having a whooping ~27.5% chance of dropping a veiled crystal you should disenchant all your rare crafts. Uncommon braces will still not drop veiled crystals, so if you can do any expulsom based crafting you are better of scrapping your uncommons. The relative value of the enchants you can craft with enchanting has not really been impacted at all by this change. We still expect the haste enchants to remain the top sellers with. Ring and weapon enchants will still likely stay profitable, but you need to have rank 3 recipes. Luckily they are still relatively easy to obtain. I would still suggest doing the same approach I have used since Legion which includes stocking up to 10 or 20 of each enchant and then restocking as needed when you get sales. Make sure you post actively on raid reset days as a disproportionate number of enchants sell then compared to the rest of the week. 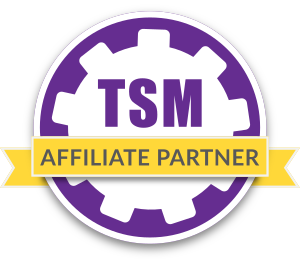 If you need TSM settings to get you started you can find my full enchanting group here. The above strings still assume 5.64 dust per DE on uncommon and 1.5 shard/dust per rare. I know I’m receiving a between 7 and 13 dust per uncommon DE with the rod. I can’t remember the yield on rares but I’m assuming that needs to be increased as well. More specifically, I see where you took the value strings from your previous bracer shuffle article and added in the veiled crystals – but didn’t increase the yield on the other materials.